Killarney FC teams win BCCSL League Cups! Congratulations to our Killarney FC teams for making their divisional finals! 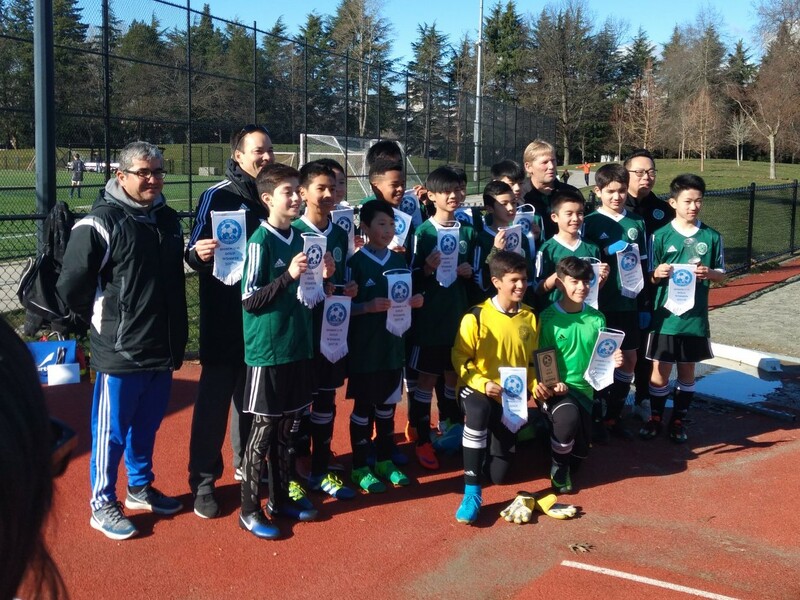 Three Killarney Teams contested their BCCSL League Divisional cups the weekend of March 3/4, 2018 in Richmond, BC. KIL United challenged for the U13 Gold division cup on Saturday winning 2-0 over the SCST Storm. 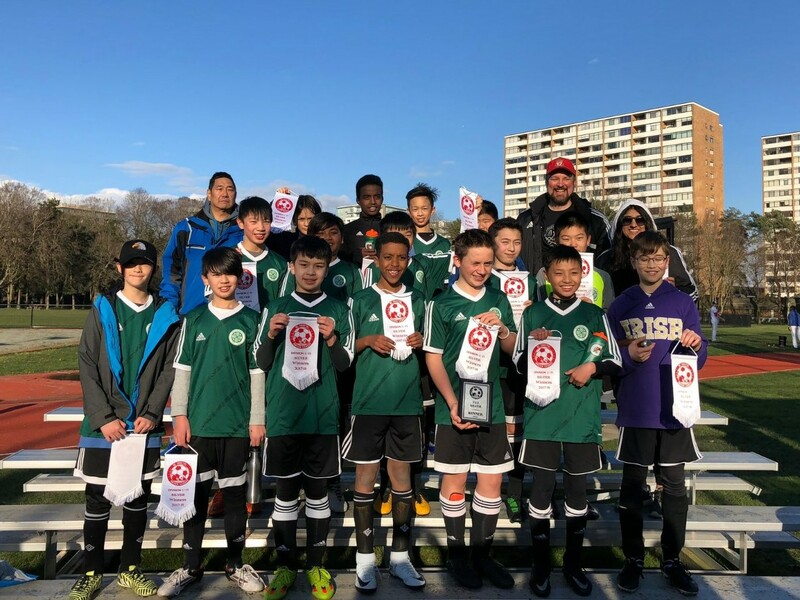 Congratulations to Coach Ian, the team officials and the U13 United on a great Fall 2017/18 season! On Sunday our KIL Sharks were up against the WVA Strikers for the U13 Silver division cup. They came out on top with a final score of 3-2. Congratulations to Coach Warren, the team officials and the U13 Sharks on a great Fall 2017/18 season! The Spurs were loosing 2-0 to NVF and scored 2 goals in two minutes to tie it. NV responded with a quick penalty making the score 3-2. Referee blows the final whistle and NV start celebrating. We realize the referee has stopped the game about 8 minutes early. Thankfully one of the AR’s was also keeping time and, after a quick conversation with the referee, both teams head back onto the field for those eight minutes. The Spurs won a corner in the last minute and throw everyone up to try and score... our goalie scores tying the game 3-3 at the final whistle! The game goes to Penalty Kicks and Spurs loose 5-4. Tough loss in a very hard fought game! Congratulations to Coach Graham, Manager Richard and the U17 Spurs on a great Fall 2017/18 season! Congratulations to U13 United and U13 Sharks on their wins!